The spherical tungsten carbide powder is generally made from regular cast tungsten carbide power or the mixture of tungsten (W), tungsten carbide (WC) and carbon (C). There are primarily two production processes: (1) the mixture of tungsten powder blended with tungsten carbide and carbon powder is melted first. The molten mixture is then atomized by rotation atomizing or ultra high-temperature melting & atomizing process. It spheroidizes into spherical WC particles during the rapid solification process due to surface tension. (2) Another process is based on the modification of regular cast tungsten carbide powder. Plasma spraying, electric induction or electric resistance furnace melting is applied during the spheroidization process to obtain fine spherical WC particles. Microstructure of cast spherical tungsten carbide powder. 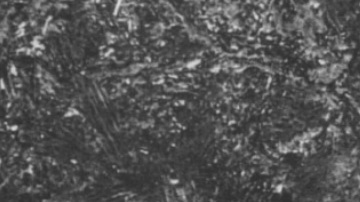 The cast spherical tungsten carbide powder has the microstructure of fine equiaxed dendrites as shown in above photo. The SEM photo below clearly shows its morphology of dense homogeneous spherical WC particles. It maintains stable chemical properties, good fluxibility and hardness, and outstanding wear/abrasion resistance. 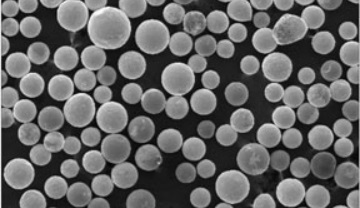 The particle sizes of cast spherical WC powder range from 0.025 mm to 0.25 mm which exhibits dark gray luster. Its specific density is 15.8~16.7 g/cm3 with micro-hardness ranging from 2700~3300 kg/mm2. SEM morphology of cast spherical tungsten carbide powder. The cast spherical tungsten carbide powder is widely applied for hardfacing of drilling bits and PDC drill tools, HVOF or PTA thermal spray on surfaces of valve seats or internal passages, and weld overlay on the flange facing areas, etc. *T.C: total carbon; F.C: free carbon. *”-” means thru, while “+” means “on”.